Sheriff’s deputies responding to a report of gunfire today found a dead man in a home near the eastern reaches of Camp Pendleton. 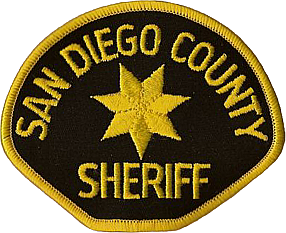 A 911 caller reported hearing someone shouting and what sounded like gunshots from inside the house in the 600 block of Braemar Terrace in Fallbrook about 8 a.m., according to sheriff’s officials. Getting no response at the door, deputies entered the home and found the body, Lt. Glenn Giannantonio said. “Positive identification, as well as cause and manner of death, will be determined by the (county) Medical Examiner’s Office,” the lieutenant said. As of late afternoon, authorities had announced no arrests and released no suspect information in the case.